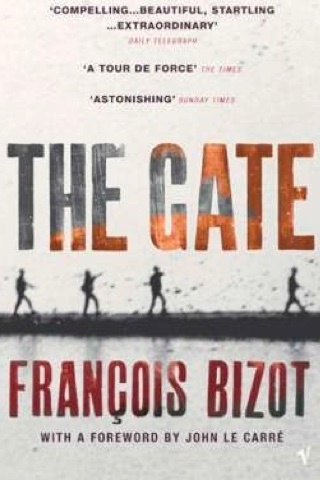 At once horrifying and intelligent, The Gate is an extraordinary personal account of the workings of the Khmer Rouge. Frenchman Francoise Bizot was the only Western prisoner to survive capture by their forces; the book is his must-read memoir of his Cambodian ordeal, and his later experience of the fall of Phnom Penh at the genocidal regime's hands. In 1971, as the Khmer Rouge was gathering forces, Bizot was accused of being a CIA agent and held for three months at M-13, a jungle prison run by Comrade Douch (a nom de guerre more typically spelled Duch; his real name was Kang Kek Iew). Bizot, aged 30 then, had come to the kingdom to study Buddhism six years earlier, and had a Cambodian wife and child. Bizot recounts with great clarity of mind his time at the camp and the hardships, both physical and also mental, that he and other prisoners faced; he used his daily conversations with Douch to wrangle his release. It was at M-13 that Douch was said to have refined the torturing techniques that he later employed as the head of the notorious S-21 prison in Phnom Penh, where some 17,000 people were tortured and killed. After his release, Bizot stayed on in Cambodia; he eventually acted as an intermediary between the French embassy officials and the Khmer Rouge as the city fell to the ultra-Maoists in April 1975. You won’t read about this in the book, but Douch was to become the first Khmer Rouge leader tried by the Extraordinary Chambers in the Courts of Cambodia. Bizot was the first witness to appear in his case. “There are forces that can make a man cowardly, destructive, heartless,” Bizot told AFP in 2007 . “When the rule of law disappears, these forces that exist even in normal times suddenly can make us killers, makes us aspire to positions that turn us into monsters, into people we never thought we’d become… Understanding does not mean forgiveness.” Douch was convicted of crimes against humanity, murder and torture and sentenced to 30 years’ in prison, though in 2012 the sentence was extended to life. That development only further cemented The Gate onto our suggested list of essential reading for those interested in Cambodia’s modern history.